Michael Cohen, former personal lawyer for Donald Trump, has admitted he lied to Congress about efforts to build a Trump Tower in Russia. 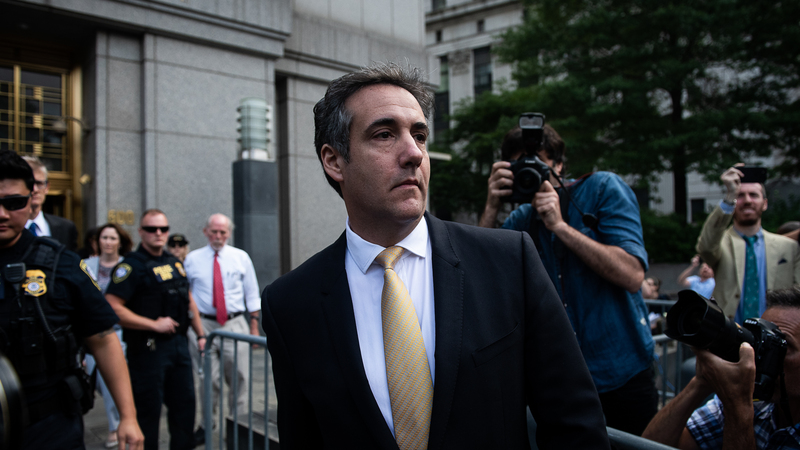 Now, a BuzzFeed News report says Cohen reportedly told investigators that he lied to lawmakers about the real estate project at Trump's direction. The report cites two law enforcement officials with direct knowledge of the Trump Tower Moscow investigation. Democratic chairmen of two House committees vowed to investigate. "These allegations may prove unfounded, but, if true, they would constitute both the subornation of perjury as well as obstruction of justice," California Rep. Adam Schiff, House intelligence committee chairman, said in a statement Friday. Cohen was interviewed by the House intelligence committee in October 2017, and also provided written statements to House and Senate intelligence committees. He pleaded guilty in November to a federal count of lying to Congress about the timing of negotiations with Russians about building a Trump Tower in Moscow. During the campaign, Trump repeatedly said he had no business in Russia. Cohen told Congress those negotiations ended in January 2016. He later admitted that those talks actually continued at least through June of that year — well into the presidential campaign. In an interview Friday morning with NPR's Morning Edition, Cormier said their sources describe "quite a bit of documentary evidence" — in the form of emails, internal correspondence and witness interviews — that Trump told Cohen to lie. Law enforcement had gathered this evidence before Cohen was interviewed by special counsel Robert Mueller, according to BuzzFeed's sources. NPR has not independently confirmed the allegations in the BuzzFeed report. Trump's legal team did not immediately reply to a request for comment. In a tweet Friday morning, Trump accused Cohen of lying but did not directly address the BuzzFeed story. But Cormier told NPR that Cohen is not the source for their story, that "he is not the one who told us this." The chairman of the House Judiciary Committee, Rep. Jerrold Nadler of New York, said his committee will investigate, as well. Cohen is slated to testify publicly before the House Oversight Committee on Feb. 7. NPR's Ryan Lucas and Philip Ewing contributed this report.